Microsoft Expression Media is the solution focused on professionals that need to have their multimedia contents database perfectly organized. 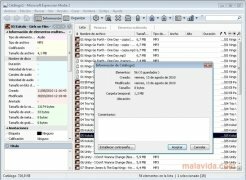 With this tool any user will be able to have catalogs with more than 128,000 files totally organized, with the added possibility to synchronize them in various folders or devices. The general idea is for Microsoft Expression Media to be an organization and merging nexus for Express Studio, although it also integrates perfectly with other Microsoft products like Office and Silverlight. Therefore, as well as being compatible with all kinds of music and video files, it also supports documents in DOCX and PPTX format, among others. 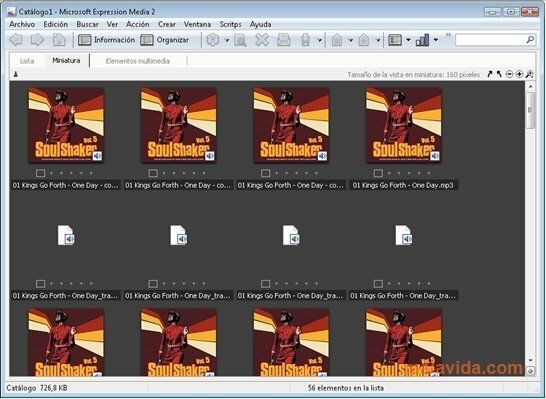 Since it is compatible with formats like PDF, SWF and PSD, it has to be said that Microsoft Expression Media offers all kinds of possibilities when it comes to becoming the main application for all the kinds of libraries and resources that the vast majority of people can store. 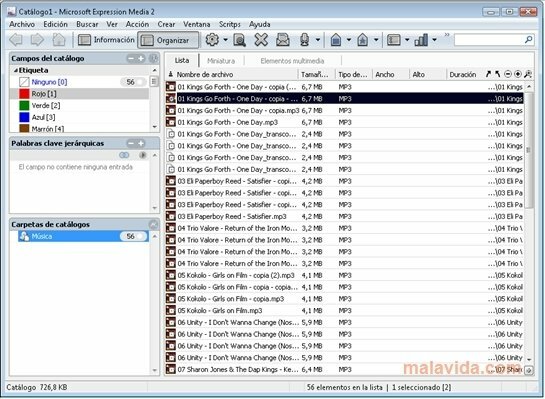 Organizing the files by means of Microsoft Expression Media is really simple and will help us to find them whenever we need them, thanks to the possibility to order them by category and even to apply tags. As is logical, any metatag of a file will automatically be indexed. 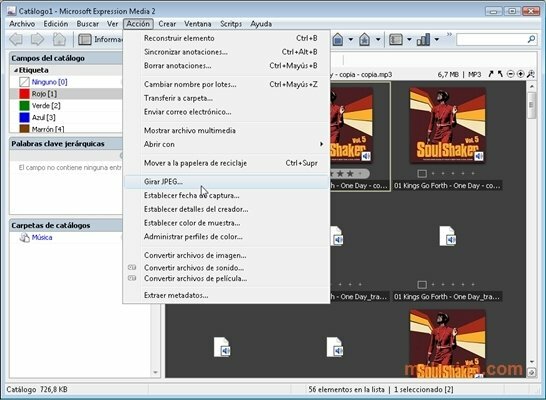 Furthermore, some of the formats supported by Microsoft Expression Media can be modified. Thus, there will be no problem at all when it comes to modifying the ID3 tag of any MP3 file or if we have to apply small changes to a photo, which this software is perfectly prepared to do.